Is Your Pre-Invention Assignment Legal? A prospective or continuing employee and his or her employer are usually in an unequal bargaining position—the employer generally has the upper hand. Some employers have attempted to take advantage of their leverage by requiring their employees to agree to very broadly worded assignments that purport to transfer to the employer, in advance, ownership of everything the employee creates, whether related to the job or not. In the words of one court, these employers try to obtain “a mortgage on a man’s brain” (Aspinwall Mfg. Co. v. Gill, 32 F. 697 (3d Cir. 1887)). To protect employees, eight states, including California, impose restrictions on the permissible scope of assignments of employee-created inventions. These restrictions apply only to “inventions” an employee creates—that is, items for which a patent is sought. the invention resulted from any work performed by the employee for the employer (California Labor Code, § 2870). As you can see, these limitations on employee invention assignments are not very generous to employees. The only inventions an employee can’t be required to assign to the employer are true independent inventions—those that are developed completely without company resources and that don’t relate to the employee’s work or the employer’s current business or anticipated future business. Washington (Washington Revised Code Annotated, §§ 49.44.140, 49.44.150). If you work in California, Illinois, Kansas, Minnesota or Washington State, state law requires that you be given written notice of your state’s restrictions on an employer’s right to obtain an assignment of employee inventions. If this is not done, the assignment could be unenforceable. Find out if You're an Inventor. What if you live in one of the 42 states that do not have laws restricting invention assignments? Even in most of these states, pre-invention assignments can’t be grossly unfair. Because they want their pre-invention assignment agreements to be legally enforceable, employers in these states sometimes track the rules used in the other eight states when drafting assignments. Learn more about Patent Ownership Issues. None of the state law limitations on invention assignments discussed above apply to independent contractors, they only apply to employees. So, even if you live in a state like California that has such a law, companies that hire you as an independent contractor have more latitude in how they word their assignment agreements. Even so, a court might hold an unconscionable or fraudulently obtained assignment invalid, just as if you were an employee. If you don’t sign an assignment or it’s found invalid, the default rules discussed in this article would normally apply. The assignment is unconscionable: Courts generally will refuse to enforce assignments that are grossly unfair to the employee. The courts call such agreements unconscionable—that is, so unfair that enforcing them goes against public policy. For example, an assignment that said your employer owned any inventions you created while employed, even if they don’t relate to the employer’s present or anticipated business and were created by you on your own time without the employer’s resources, would likely be found unconscionable by your state courts. The assignment was procured by fraud: An assignment may be unenforceable if it was procured by fraud—for example, your employer lied or tricked you into signing it. You signed the assignment after you were hired: All legal agreements, including invention assignments, must be supported by something lawyers call “consideration”—that is, each party must receive something of value for signing the agreement. If consideration is lacking, the agreement won’t be legally binding. If you sign a pre-invention assignment before you start work, there is no problem with consideration: The salary you will be paid is deemed to be consideration for signing the agreement. However, some employers forget to get employees to sign an assignment when they are first hired. Often, such employers will later realize their mistake and require the employee to sign an assignment long after being hired. Courts in some states have held that if the employer doesn’t give the continuing employee something of value in exchange for signing such an “afterthought” assignment—for example, a raise, stock option, extra vacation—the assignment lacks consideration and is therefore unenforceable. The employer waited too long to enforce the assignment: A court may decide not to enforce the agreement if your employer waited so long that it would be unfair to enforce it against you. This is most likely to occur where the delay made you think your employer had no ownership claims and you acted accordingly. For example, a court may decide not to enforce an assignment against an employee who left the company five years previously and patented and licensed the invention, thinking that he owned it. Find out if you Own Your Invention Rights. If you think any of these grounds might apply in your case, you should consult with an intellectual property attorney. Ideally, you would do this before you conceive an invention; but this is often not possible. After all, one never knows when inspiration or “the flash of genius” will strike. Portions of this article are derived from What Every Inventor Needs to Know About Business & Taxes by Attorney Stephen Fishman. 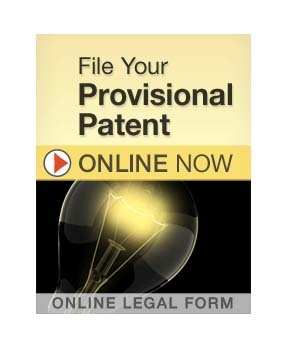 For assistance with the preparation and filing of a provisional patent application, see Nolo’s Online Provisional Patent Application.